Jefferson wrote these words to President George Washington in his capacity as secretary of state, a response to Washington’s own request for commentary on important matters which could be incorporated into his presentation at the opening of the next session of Congress. Though Washington’s speechwriter, Alexander Hamilton, omitted mention of the cent for what would become Washington’s address, Jefferson was central to the early efforts to organize the Mint, and his words make it clear that the cent was one of the first denominations struck by the United States, even before the readiness of the first United States Mint facility. Once the facility was complete, regular coinage commenced in earnest in early 1793. It is with the cent that coining operations began within the walls of the new Mint. On March 1, the first delivery of coins occurred, all one-cent pieces, amounting to 11,170 Chain cents. Joining the iconic Chain cent were the Wreath cents, which came in three variations including the portrait of Liberty with an olive sprig below, the same portrait with what is thought to be either a strawberry or cotton sprig below, and the Liberty Cap style. The only other denomination struck in 1793 was the half cent, a close relative to the cent, featuring a similar design type but struck in far smaller quantity. The cent was the primary focus of the Mint’s efforts in 1793. The cent is the one denomination that has remained a standard of American coinage. From 1792 to the present time, only a single year has passed without production of the cent, 1815. In 1816, the cent is the only denomination that was struck. Considerable quantities were made in most years, the most notable exception being 1799. 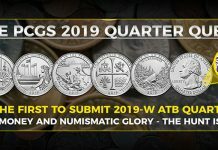 The availability and diverse range of dates makes a set of these coins by date not only desirable to collect, but relatively easy with just a few challenges to keep the search interesting. 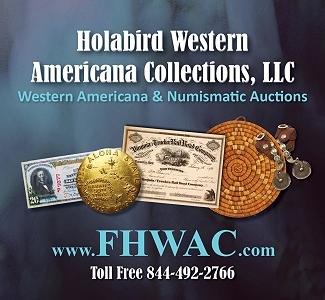 His first auction was of large cents, in 1858, and it included an example dated 1834 that sold for 33 cents. As this coin was only 24 years old at the time of the sale, it almost certainly must have been a Proof to command such attention and such a price. 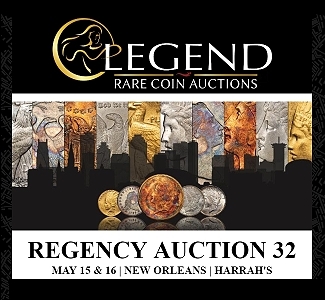 He is known to have sold a Proof 1834 large cent to collector Thomas Cleneay, and it may be found in the pages to follow. Could it be the same one he sold in his first sale? The first United States coin auction catalog with photographic plates was the Cogan sale of the Mortimer L. Mackenzie Collection, in 1869. About Mackenzie, dealer J.N.T. Levick commented that he “has been most enthusiastic as a purchaser of the cent series [and] may excel so far as relates to condition.” The plates do indeed show it to have been a cabinet with magnificent cents. Joseph Mickley was famously sparked to begin his incredible collection after discovering that a cent of his birth year, 1799, was exceedingly difficult to find. The Proof 1822 Newcomb-4 in the Twin Leaf Collection was once owned by Joseph Mickley. He famously visited the United States Mint in 1843 and traded several coins from his collection to the Mint, obtaining one of the prized “original” 1804 silver dollars in return. This led to a broader awareness of this great rarity, initiating the great fame of the King of American Coins. Stickney also owned an 1831 Newcomb-11 cent that, again, is to be found in the pages to follow. An assemblage of anecdotes about early collectors and their valuable cents could probably be of book length, and the story it would create would be nearly synonymous with the story of American numismatics. From the earliest experimentations of the new U.S. Mint, including the striking of the Birch cents, silver-center cents, and fusible alloy cents, to the filling of “penny” boards of recent decades, the cent has been a reliable starting point for interest in American coinage, for the young United States government, and for collectors of all ages and financial means. As with any great cabinet of cents, the Twin Leaf Collection has ties to many great collections and numismatic personalities of the past, but a proper lead-in to the present collection must include mention of three more important large cent personalities. Dr. William H. Sheldon’s study of the early cents was essential to the Twin Leaf Collection, just as it has been to the advancement of coin collecting on a much broader scale. Without Sheldon’s efforts with the cents of 1793 to 1814, the landscape of American numismatics might look quite different today. The study, titled Early American Cents, published in 1949 (revised in 1958 as Penny Whimsy), is highly important, widely recognized, and still used today as a guide to the “early date” cents up to 1814. 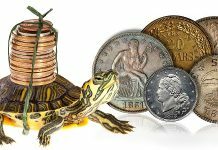 It was this study that contributed to American numismatics two important developments: the “Sheldon scale” for coin grading that has now been applied to all United States coins (and increasingly coins of the world), and his scale for rarity ratings. Sheldon’s famous study only covered the Early Dates, which he clearly favored. His magnificent collection of this series was sold privately to Ted Naftzger in the early 1970s. But, he was interested in the later coins too. Numerous Middle and Late Dates once owned by Dr. Sheldon appear in the pages to follow. 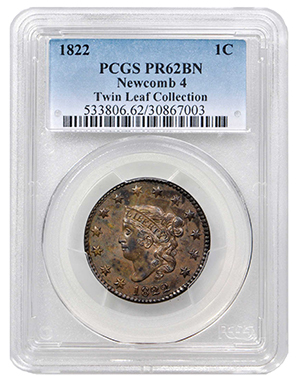 Anyone studying the present catalog will know the Newcomb name as well as any in American numismatics. Where Dr. Sheldon stopped with Early American Cents in 1814, Howard R. Newcomb began by carrying forward the 19th-century work of Dr. Frank Andrews. Newcomb’s exhaustive revision and improvement of Andrew’s work was published in 1944, and it has been the standard reference for the large cents of 1816 to 1857 ever since. Newcomb was not only a researcher, but also an avid collector of the series. 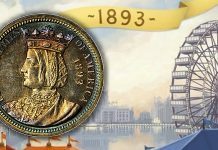 He is recognized for the generally high quality of the coins he owned, and many of those same coins have found their way to the Twin Leaf Collection. 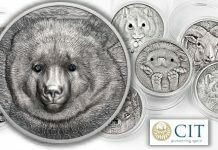 The greatest 20th-century large cent aficionado was Roy E. Naftzger, Jr., sometimes referred to affectionately as “god” in the large cent community for the extraordinary collection he assembled, but more commonly known as Ted. While Sheldon and Newcomb made their respective marks in published studies containing technical descriptions of the old cents, Ted’s focus was on collecting great coins of magnificent quality. 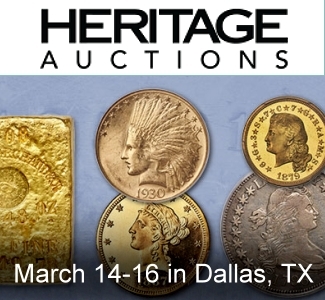 Certainly Mr. Naftzger knew the technical aspects well, as any advanced collector should, but what he will be long remembered for are the vast numbers of incredible coins he acquired over his half-century of collecting. 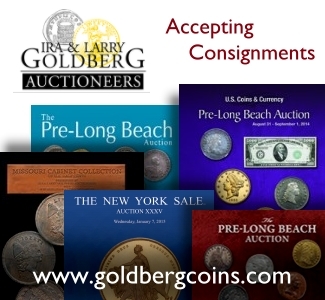 He acquired collection after collection from those who were no longer active, and secured for himself many of the most wonderful coins that traded hands in the latter half of the 20th century. His collection is so legendary, in fact, that today there are collectors who aggressively compete for coins once owned by Ted. The Twin Leaf Collection includes more than 150 coins once the property of Ted Naftzger, a foreshadowing of the quality to be found in the pages that follow. 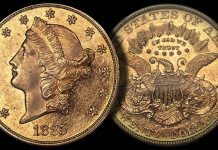 The Twin Leaf Collection began with an interest in collecting a United States type set, an interest soon fine-tuned to focus on the year 1853. 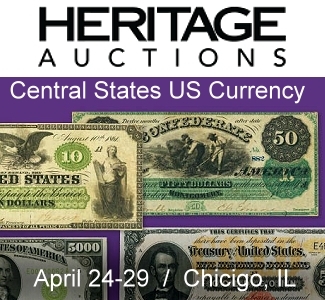 The result of that effort culminated in The 1853 Collection, sold by us in October 2014—a complete U.S. coin set of the year, advanced well beyond a standard “type set,” including all regular issues as well as pattern coins and territorial issues. 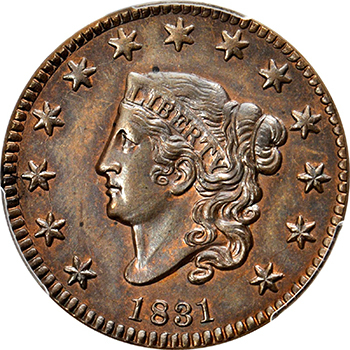 Naturally, an 1853 large cent was necessary for the 1853 set, and the collector shortly discovered that early American coppers were a fascinating specialty worthy of intense attention. Thus, the Twin Leaf Collection was born. The first non-1853 purchases for the Twin Leaf Collection were from the Walter Dudgeon sale in July 1994, where numerous lots were competed for, and more than 35 were secured. While the collector’s interest in 1853 certainly never waned, his interest in early American coppers expanded greatly, leading to the collection in the pages of this catalog. The finest specimens were sought with vigor, and it was a great fortune that several great cabinets of cents were sold while our collector desired them. 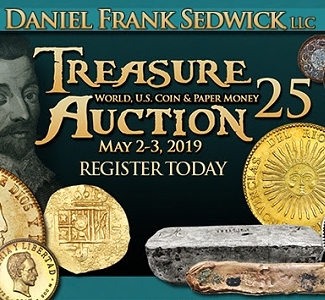 The sales of the collections assembled by Walter Dudgeon, Gary Ruttenberg, J.R. Frankenfield, Robinson S. Brown, Ted Naftzger, and Dan Holmes all benefited from a relatively new collector who desired the rarest and the best. Our collector likewise benefited from so many wonderful properties becoming available. Middle Dates were the next focus of the collector’s attention, while 1853 coins and other items remained very much desired. As he closed in on a complete collection of the Middle Dates, he began to seek the Early Dates, too. Eventually, the Middle Dates were completed, the first time this had been accomplished since the 2011 rediscovery of the 1825 Newcomb-5. It also included the famous 1834 Newcomb-7, which was recently sold privately in honor of a prior casual agreement. Though they are no longer part of the collection, the Twin Leaf Collection of Early Dates is worthy of discussion, if only to underscore the incredible accomplishment represented in that collection. The first Early Dates acquired were Sheldon-37 (the first one bought, and a Condition Census example) at Long Beach, from Tom Morley in January 1996, and the 1795 Sheldon-79 from the Robbie Brown Sale in that same month. The rare S-79 was purchased based on the consideration that if Early dates were ever to be collected to completion, this one would be necessary and would perhaps be impossible to acquire later. The first coins of interest among the Early Dates were the single berry left of bow coins, which seemed a “doable” set. The collection of Early Dates rapidly grew beyond this modest goal, however, until it was complete by Sheldon number, including several NCs, perhaps 30 or 40 in number. Incredibly, this was accomplished within the span of one year. At its height, the Twin Leaf Collection included many wonderful Early Date cents including an outstanding Mint State 1793 Sheldon-2, full Red 1794s, and the finest known 1799. It also included within the provenances of these coins further connections to great collectors and dealers of years long since passed. McCoy, Cogan, Frossard, Parmelee, Woodward, Zabriskie, Bement, Proskey and Brand were all represented. When combined with the Middle and Late Dates of the Twin Leaf Collection, the list of names grows to include many more famous collections. In many cases it might be argued that the unique paths the coins have taken to arrive in a collection of cents like this are just as valuable as the quality of the objects themselves. We are historians first and foremost, and our common interest in these old coins often begins with the questions, “where has this been?” and “who has held this?” It is this part of the story that sparks the imagination, and it is where the passion begins. 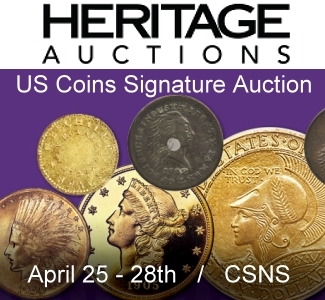 Though the collection no longer contains the Early Dates discussed above, even without them this sale will forever stand as one of the finest offerings of U.S. large cents ever presented. The Middle and Late Dates include many rarities and few have endeavored to acquire the Newcomb numbers in the manner represented by this collection. While most cent collectors would be satisfied to acquire one example of each variety, here we have a collector who stopped at nothing to acquire every Proof available and, in many cases, acquired important die state variations, some of which are great rarities. Nearly all of the coins are Condition Census or rank very highly among the known survivors. There is very little in the Twin Leaf Collection that could be considered pedestrian, yet a collection like this includes properties ranging widely in value. 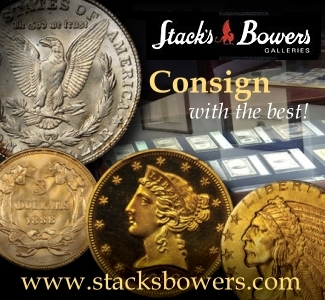 This is part of what makes large cents so enticing to a broad pool of collectors. 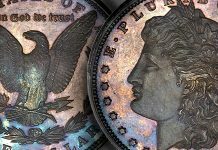 Certainly the greatest rarities will command five or perhaps six-figure prices, but many wonderful cents may be obtained for much less, well within the budgets of most collectors. Rarely have we had the opportunity to present a collection so carefully amassed, with historical and technical notes so carefully maintained about each piece. Certainly it has been a great pleasure to work with these items and the collector who gathered them. 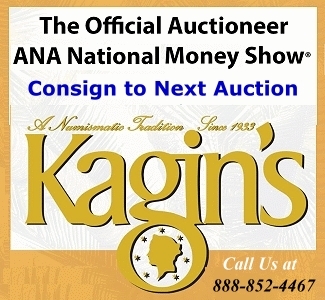 What is clear, in summary, is that the collector himself appreciated what American numismatics is all about. With his resources he was able to create with this collection a monument to what we all do as collectors, researchers and dealers of old coins.